Please join us ! All are welcome. Belt ranks from Blue Belt and above are welcome to participate. Join us before summer begins..
* Participation Fee and Spectator Fee are CASH only ... no checks or credit cards. * Presenters request no video taping / photography during the workout. Please let your guests know in advance. * Street parking available with parking meters. Parking meters are monitored on Saturday's until 6 PM. 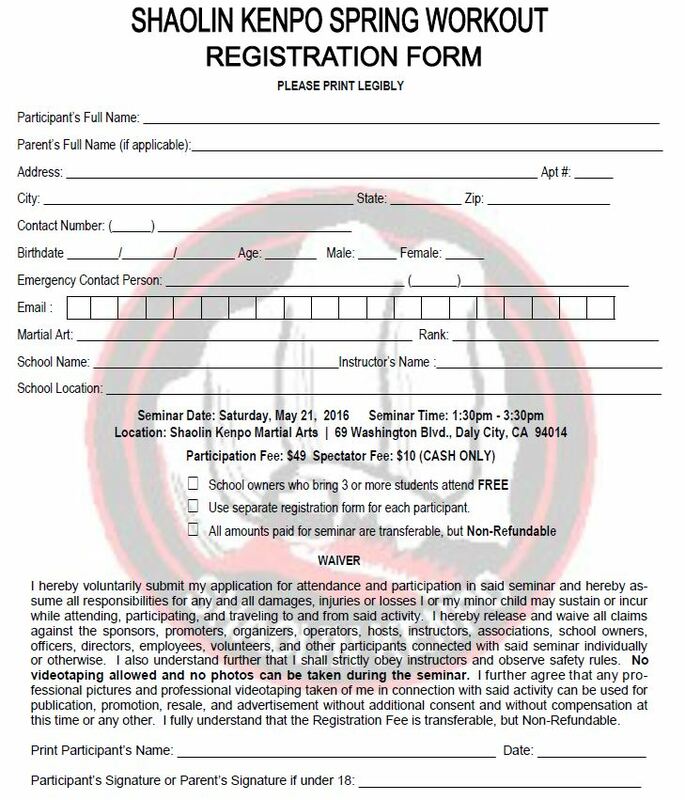 * Please fill out the registration form below and bring it to the workout. 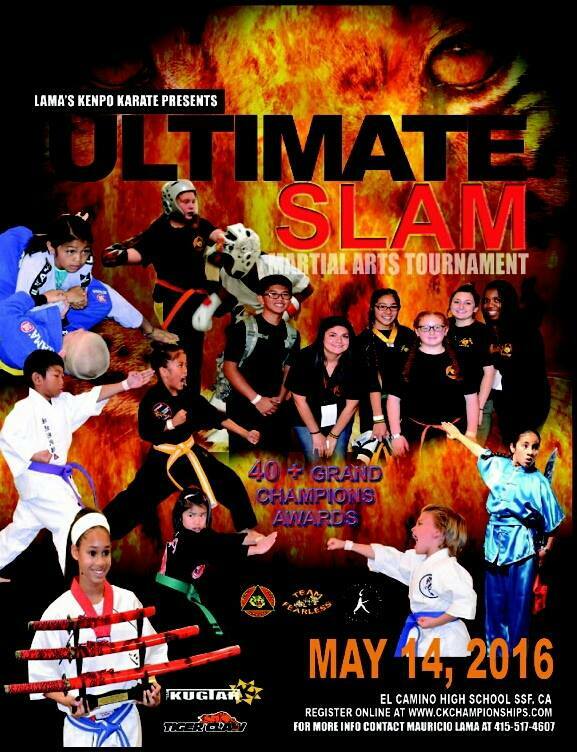 Tournament: Professor Moe Lama's "ULTIMATE SLAM 2016"
Shaolin Kenpo Workout, March 5, 2016. This workout is open to all Shaolin Kenpo Black Belts. Shaolin Kenpo Martial Arts proudly presents, "SHAOLIN KENPO MASTER'S SEMINAR II". 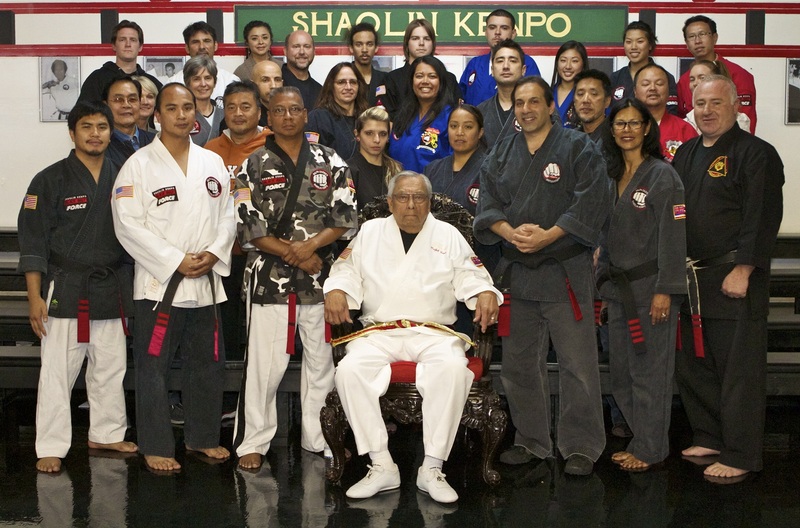 Featuring Great Grandmaster Ralph Castro. Assisted by Grandmaster Rob Castro. Location is Shaolin Kenpo Martial Arts, 69 Washington Street, Daly City, CA 94014. For information, please call (650) 274-7714. Shaolin Kenpo Martial Arts proudly presents, "SHAOLIN KENPO MASTER'S SEMINAR"
12:00 PM to 2:30 PM. Fee: $150.00 (includes DVD of the Seminar). Special Guest to be Announced. The International Shaolin Kenpo Association presents, "December 1, 2012 - SEMI-ANNUAL PROMOTION CEREMONY". Location is Shaolin Kenpo Karate Daly City, 69 Washington Street. For more information, please call (650) 755-8996.
International Shaolin Kenpo Association presents, "June 8 , 2012 - SEMI-ANNUAL PROMOTION CEREMONY". Location is Ralph Castro's Shaolin Kenpo Karate, 69 Washington Street, Daly City. For more information, please call (650) 755-8996. Note: June 8 is a Friday. International Shaolin Kenpo Association presents, "December 10, 2011 - SEMI-ANNUAL PROMOTION CEREMONY". Location is Ralph Castro's Shaolin Kenpo Karate, 69 Washington Street, Daly City. 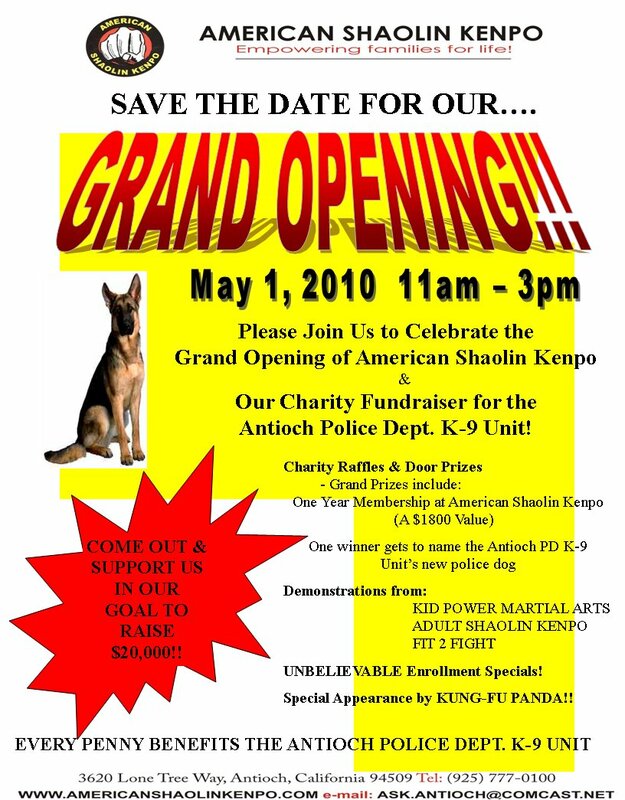 For more information, please call (650) 755-8996.
International Shaolin Kenpo Association presents, "June 18, 2011 - SEMI-ANNUAL PROMOTION CEREMONY". Location is Ralph Castro's Shaolin Kenpo Karate, 69 Washington Street, Daly City. For more information, please call (650) 755-8996. This time we're not planning to have a dinner after. International Shaolin Kenpo Association presents, "December 11, 2010 - SEMI-ANNUAL PROMOTION CEREMONY" Location is Ralph Castro's Shaolin Kenpo Karate, 69 Washington Street, Daly City. For more information, please call (650) 755-8996. Please send responses and dinner payment to Mrs. Castro no later than December 3rd. 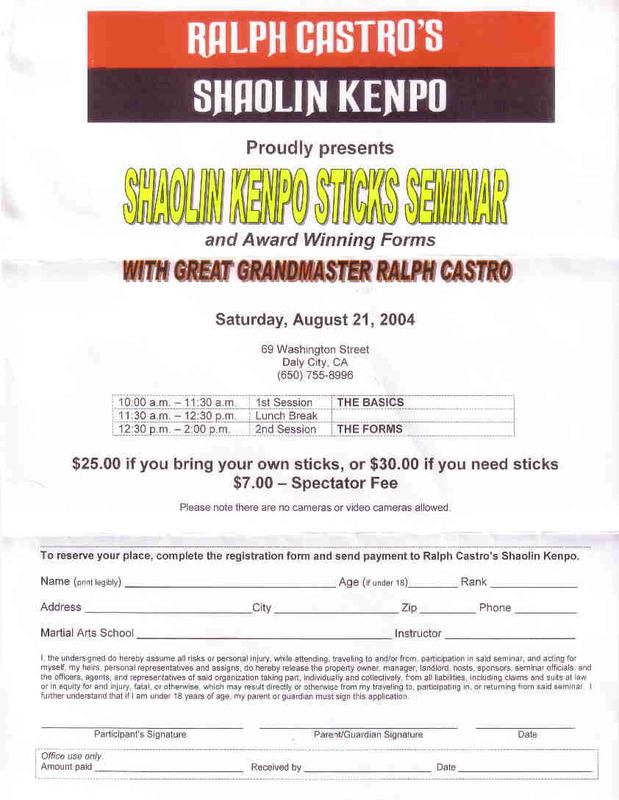 Ralph Castro's Shaolin Kenpo proudly presents, "SHAOLIN KENPO STICKS SEMINAR", with Great Grandmaster Ralph Castro. Location is Ralph Castro's Shaolin Kenpo Karate, 69 Washington Street, Daly City, CA 94014. Each Session : $30.00 with your own sticks, or $45.00 if you need sticks. Spectator Fee: $5.00. A $10.00 extra charge added if payment received after October 22, 2010. Please note, no cameras or video cameras are allowed. For more information, please call (650) 755-8996, and check back here for updates. International Shaolin Kenpo Association presents, "June 12, 2010 - SEMI-ANNUAL PROMOTION CEREMONY". Location is Ralph Castro's Shaolin Kenpo Karate, 69 Washington Street, Daly City. For more information, please call (650) 755-8996. We're trying something new...Dinner will be catered after promotions. Adults: $10, Children 12yrs and under: $6, 4yrs and under: free. Location is Ralph Castro's Shaolin Kenpo Karate, 69 Washington Street, Daly City. 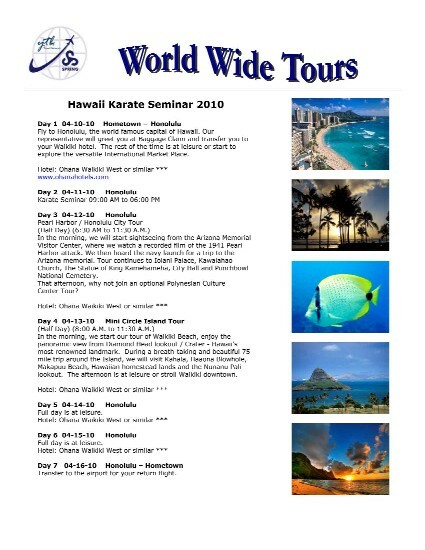 For more information please call Mrs. Castro at (650) 755-8996.
International Shaolin Kenpo Seminar 2010, Honolulu, Hawaii. 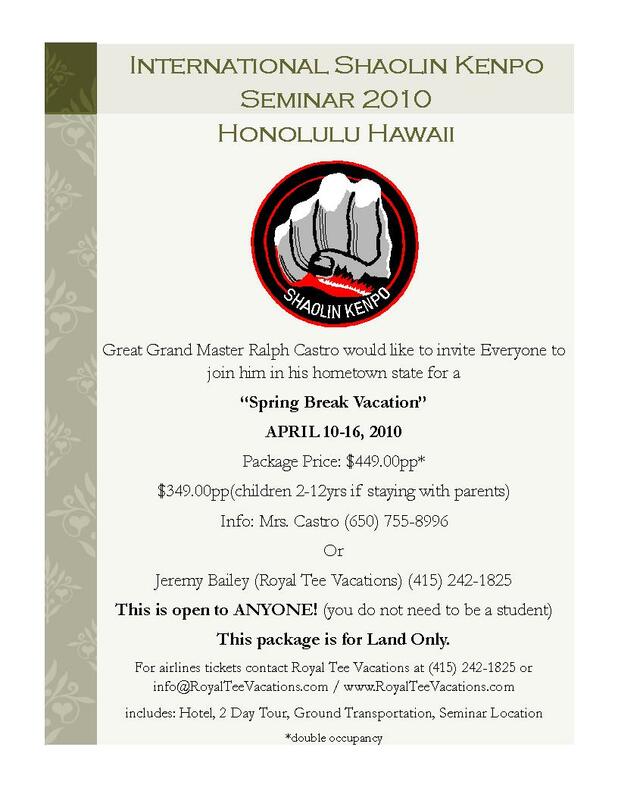 Great Grandmaster Ralph Castro would like to invite everyone to join him in his home town and home state for a Spring Break Vacation. 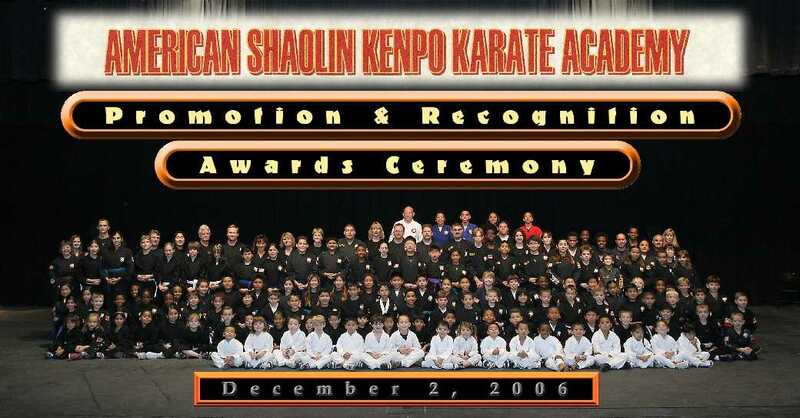 April 10 - 16, 2010.
International Shaolin Kenpo Association presents, "December 12, 2009 - SEMI-ANNUAL PROMOTION and RECOGNITION AWARDS CEREMONY". Location is Ralph Castro's Shaolin Kenpo Karate, 69 Washington Street, Daly City. For more information, please call (650) 755-8996. The traditional potluck dinner is after promotions. Location is Ralph Castro's Shaolin Kenpo Karate, 69 Washington Street, Daly City. For more information please call Mrs. Castro at (650) 755-8996.
International Shaolin Kenpo Association presents, "Shaolin Kenpo Demonstration - Half Time Show". Raiders vs. Bengals. Location is Oakland Coliseum. For more information, please call Shaolin Kenpo headquarters at (650) 755-8996.
International Shaolin Kenpo Association presents, "June 20, 2009 - SEMI-ANNUAL PROMOTION and RECOGNITION AWARDS CEREMONY". Location is Ralph Castro's Shaolin Kenpo Karate, 69 Washington Street, Daly City. For more information, please call (650) 755-8996.
International Shaolin Kenpo Association presents, "December 13, 2008 - SEMI-ANNUAL PROMOTION and RECOGNITION AWARDS CEREMONY". Location is Ralph Castro's Shaolin Kenpo Karate, 69 Washington Street, Daly City. For more information, please call (650) 755-8996. 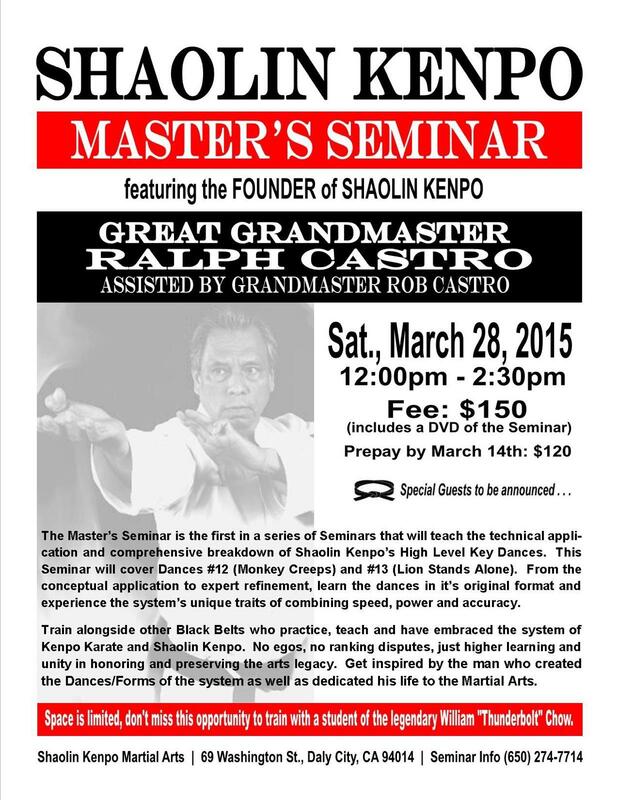 Ralph Castro's Shaolin Kenpo proudly presents, "SHAOLIN KENPO STAFF SEMINAR", with Great Grandmaster Ralph Castro. $70.00 for both sessions - staff is included. Please, no cameras or video cameras. 2008 Shark City Nationals Life Time Achievement Award, Honoring Great Grandmaster Ralph Castro. Location is San Jose Civic Center. International Shaolin Kenpo Association presents, "June 14, 2008 - SEMI-ANNUAL PROMOTION and RECOGNITION AWARDS CEREMONY." Location is Ralph Castro's Shaolin Kenpo Karate, 69 Washington Street, Daly City. For more information, please call (650) 755-8996. Potluck Dinner. Location is at Ralph Castro's Shaolin Kenpo Karate, 69 Washington Street, Daly City. For more information please call Mrs. Castro at (650) 755-8996. Ralph Castro's Shaolin Kenpo proudly presents, "Thunderbolt Set and Drawing of the Sword" with Great Grandmaster Ralph Castro. $55 for both sessions. A $10 extra charge is added if your payment is received after April 11, 2008. $10 for spectators. Please, no cameras or video cameras. No refunds. For more information, please call (650) 755-8996, and check back here for updates. 5:30 PM - Master Professor Dwight Scott (8th degree) visits Sifu (3rd degree) Kim Ostrowski's school, Eagle Flies Low Shaolin Kenpo in San Jose, CA. Professor Scott represents his own school, American Shaolin Kenpo Academy [Berkeley, CA], and Great Grandmaster's school, Ralph Castro's Shaolin Kenpo Karate [Daly City, CA]. Professor Scott offers his time and experience to serve as the evening's guest instructor, presiding over two of EFLSK's classes. 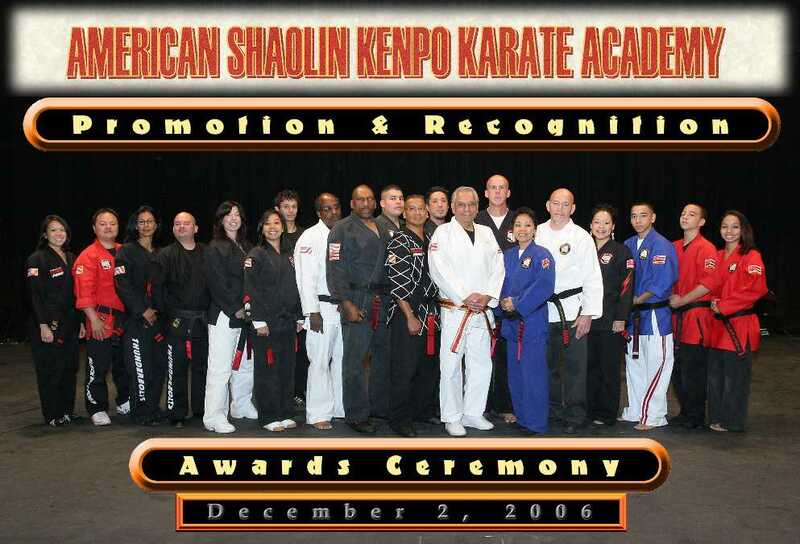 International Shaolin Kenpo Association presents, "December 15, 2007 - SEMI-ANNUAL PROMOTION and RECOGNITION AWARDS CEREMONY". Location is Ralph Castro's Shaolin Kenpo Karate, 69 Washington Street, Daly City. For more information, please call (650) 755-8996. We will have the traditional potluck dinner this time. Please join us after the ceremony. Please call if you need ideas for what to bring and share. Location is Ralph Castro's Shaolin Kenpo Karate, 69 Washington Street, Daly City. For more information please call Mrs. Castro at (650) 755-8996. American Shaolin Kenpo Karate Academy [Antioch, CA] - "Promotion & Recognition Awards Ceremony". Each Session: $35 if you bring your own sticks, or $45 if you need sticks. A $10 extra charge added if payment received after September 15, 2007.
International Shaolin Kenpo Association presents, "June 16, 2007 - SEMI-ANNUAL PROMOTION and RECOGNITION AWARDS CEREMONY." Location is Ralph Castro's Shaolin Kenpo Karate, 69 Washington Street, Daly City. For more information, please call (650) 755-8996. Location is Ralph Castro's Shaolin Kenpo Karate, 69 Washington Street, Daly City. For more information please call Mrs. Castro at (650) 755-8996.
International Shaolin Kenpo Association presents, "December 23, 2006 - SEMI-ANNUAL PROMOTION and RECOGNITION AWARDS CEREMONY." Location is Ralph Castro's Shaolin Kenpo Karate, 69 Washington Street, Daly City. For more information, please call (650) 755-8996. "Intramural Competition" Forms and Sparring, 17 Years and Under, sponsored by the International Shaolin Kenpo Association. 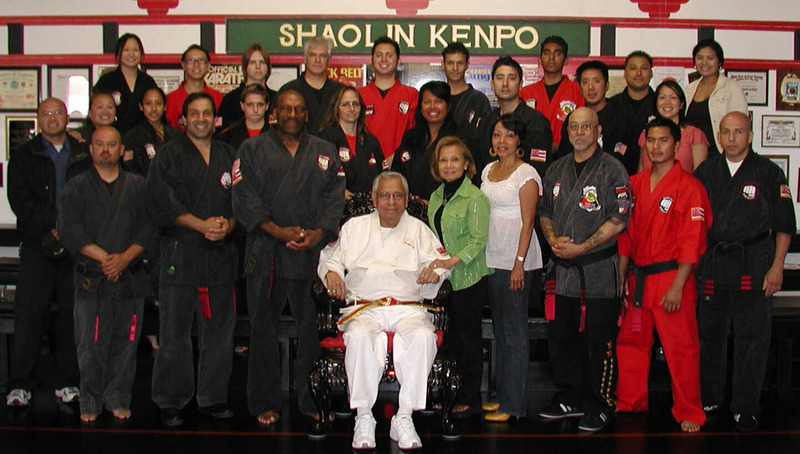 Location is Great Grandmaster Ralph Castro's school at 69 Washington Street, Daly City, CA. Pre-registration fee must be received no later than Wednesday, October 8, 2006. Doors open at 8:30 AM. Registration on the morning of the event is from 8:30 AM to 9:00 AM. Event starts at 9:30 AM sharp! Pre-registration fee: $30 for 1 event, $42 for 2 events. No Refunds. At the Door Registration fee: Cash Only, $40 for 1 event, $50 for 2 events. Spectator Fee: $7 (4 & under is Free). For more information please call (650) 755-8996. Doors open 8:00 AM - Location is Ralph Castro's Shaolin Kenpo Karate, 69 Washington Street, Daly City, CA 94014. Each Sticks Session: $25 if you bring your own sticks, or $35 if you need sticks. Both Sticks Session: $45 if you bring your own sticks, or $55 if you need sticks. For more information, please call (650) 755-8996 and check back here for updates. International Shaolin Kenpo Association presents, "June 10, 2006 - SEMI-ANNUAL PROMOTION and RECOGNITION AWARDS CEREMONY". Location is Ralph Castro's Shaolin Kenpo Karate, 69 Washington Street, Daly City. For more information, please call (650) 755-8996. No potluck dinner this time. Location is Ralph Castro's Shaolin Kenpo Karate, 69 Washington Street, Daly City. For more information please call Mrs. Castro at (650) 755-8996. American Shaolin Kenpo Karate Academy at Shaolin Kenpo headquarters for Thunderbolts Training. 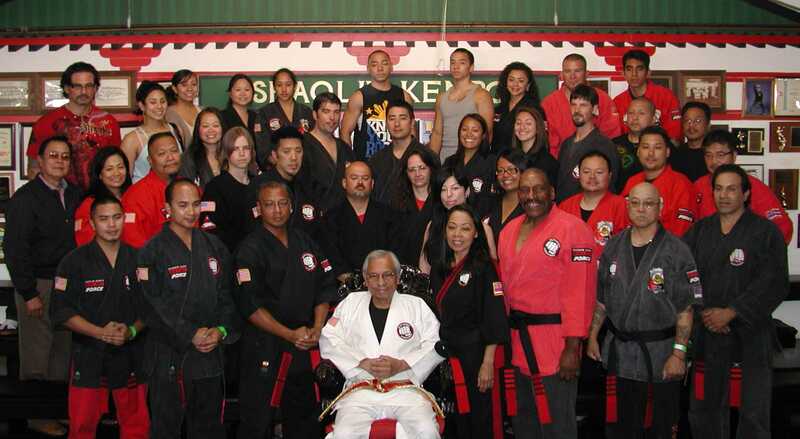 Doors open 9:45 AM - Location is Ralph Castro's Shaolin Kenpo Karate, 69 Washington Street, Daly City, CA 94014. Each Session: $25 if you bring your own sticks, or $35 if you need sticks. Both Session: $45 if you bring your own sticks, or $50 if you need sticks. 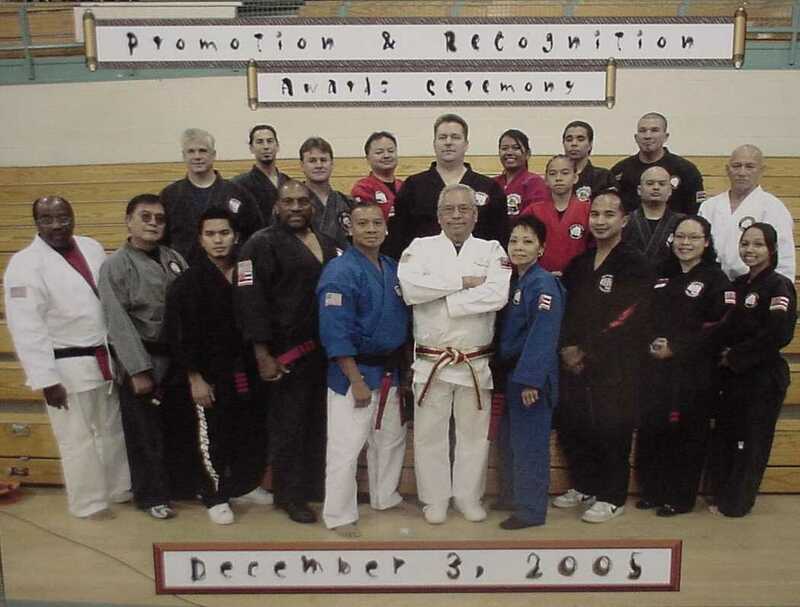 International Shaolin Kenpo Association presents, "December 2005 - SEMI-ANNUAL PROMOTION and RECOGNITION AWARDS CEREMONY". Location is Ralph Castro's Shaolin Kenpo Karate, 69 Washington Street, Daly City. For more information, please call (650) 755-8996. Immediately following the promotion events.....International Shaolin Kenpo Association presents, "CELEBRATION DINNER." Please join in and contribute to the traditional potluck, where each participant brings a favorite dish to share with all. Some suggestions include Pancit, Adobo, Lumpia, Tamales, Enchiladas, Fried Chicken, Lasagne, Pasta, and Salads. Also, please bring the appropriate serving utensils. Location is Ralph Castro's Shaolin Kenpo Karate, 69 Washington Street, Daly City. For more information and to coordinate suggestions on what to bring, please call Mrs. Castro at (650) 755-8996. [8:30 AM] - "Intramural Competition, Forms and Sparring" sponsored by the International Shaolin Kenpo Association. 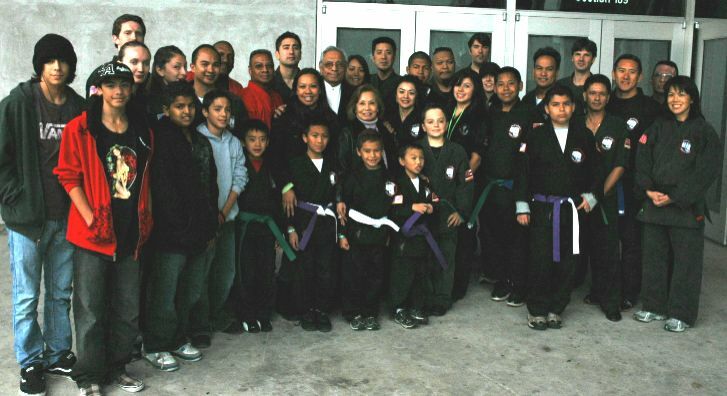 Location is Great Grandmaster Ralph Castro's school at 69 Washington Street, Daly City, CA. Pre-registration fee must be received no later than Friday, September 16, 2005. Doors open at 8:30 AM. Registration on the morning of the event is from 8:30 AM to 9:00 AM. Event starts at 9:30 AM sharp! Pre-registration fee: $30 for 1 event, $42 for 2 events. No Refunds. At the Door Registration fee: Cash Only, $40 for 1 event, $50 for 2 events. Spectator Fee: $7 (4 & under is Free). Food and Refreshments will be available. For more information please call (650) 755-8996. Congratulations! 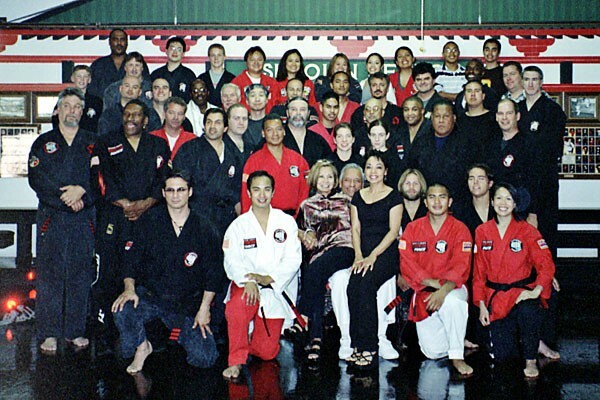 Great Grandmaster Ralph Castro, who was inducted into the Hall of Fame in 2002, will be honored by the Martial Arts History Museum. The ceremony is at the Marriott Hotel, in Woodland Hills, California. For more information go to http://www.MartialArtsMuseum.com or call (813) 355-1109.
International Shaolin Kenpo Association presents, "June 2005 - SEMI-ANNUAL PROMOTION and RECOGNITION AWARDS CEREMONY". Location is Ralph Castro's Shaolin Kenpo Karate, 69 Washington Street, Daly City. For more information, please call (650) 755-8996. Please join us for the most exciting experience of your life! All martial arts styles are invited to participate. Doors open 9:00 AM - Location is Ralph Castro's Shaolin Kenpo Karate , 69 Washington Street, Daly City, CA 94014. For pre-registration, cost is $75 per student. After April 15, registration is $90 . Spectator Fee is $10. Please, no cameras or video cameras. Space is limited. 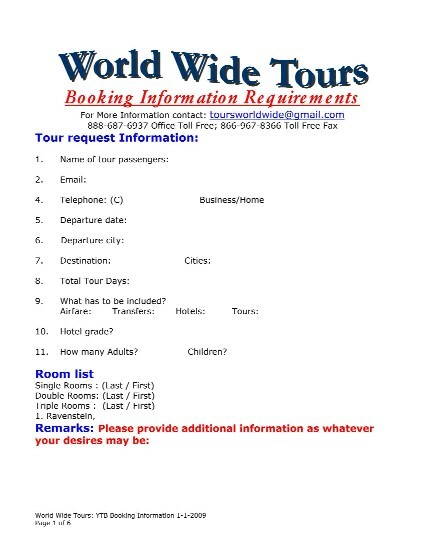 Please call for availability. For more information, please call Mrs. Castro at (650) 755-8996 and check back here for updates. The delicious and nutritious plate lunch is included for participants, but it is also available to spectators for $7. Checks payable to Ralph Castro's Shaolin Kenpo. Click on the printable Seminar Flyers and the Registration Form Below. Please be sure to sign the registration form under the liability release statement. 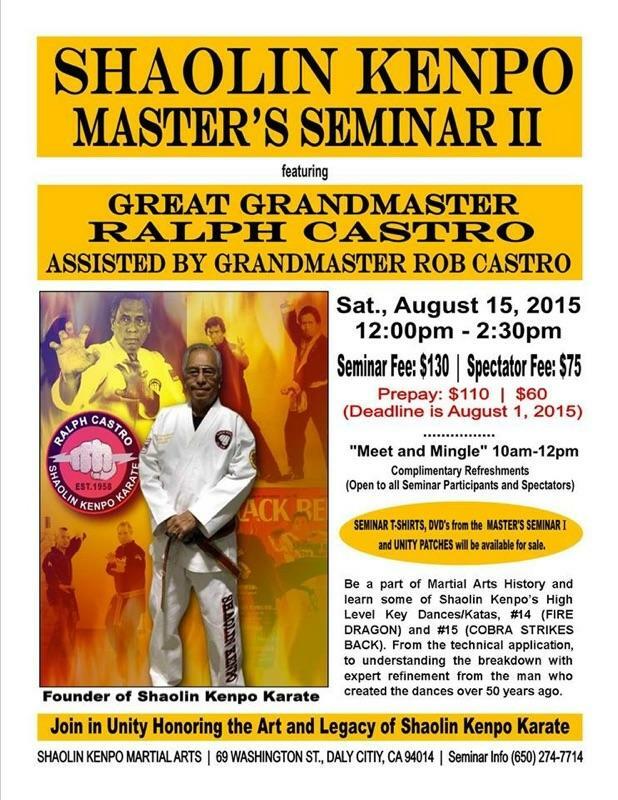 Ralph Castro's Shaolin Kenpo proudly presents, "THUNDER AND LIGHTNING III", with Great Grandmaster Ralph Castro. This third session of the seminar sequence is on "Drawing of the Sword, Belt Techiques." Sessions I and II are NOT required for attending this session III. So, all may participate, even if the student did not attend sessions I and II. All martial arts styles are invited to participate...this session is not restricted to only students of Shaolin Kenpo. Doors open 9:00 - Location is Ralph Castro's Shaolin Kenpo Karate, 69 Washington Street, Daly City, CA 94014. Cost is $25 per student. $7 for spectators. Please, no cameras or video cameras. For more information, please call (650) 755-8996 and check back here for updates. Checks payable to Ralph Castro's Shaolin Kenpo Karate. International Shaolin Kenpo Association presents, "December 2004 - SEMI-ANNUAL PROMOTION and RECOGNITION AWARDS CEREMONY". Location is Ralph Castro's Shaolin Kenpo Karate, 69 Washington Street, Daly City. For more information, please call (650) 755-8996. American Shaolin Kenpo Karate Academy - "PROMOTION CEREMONY". 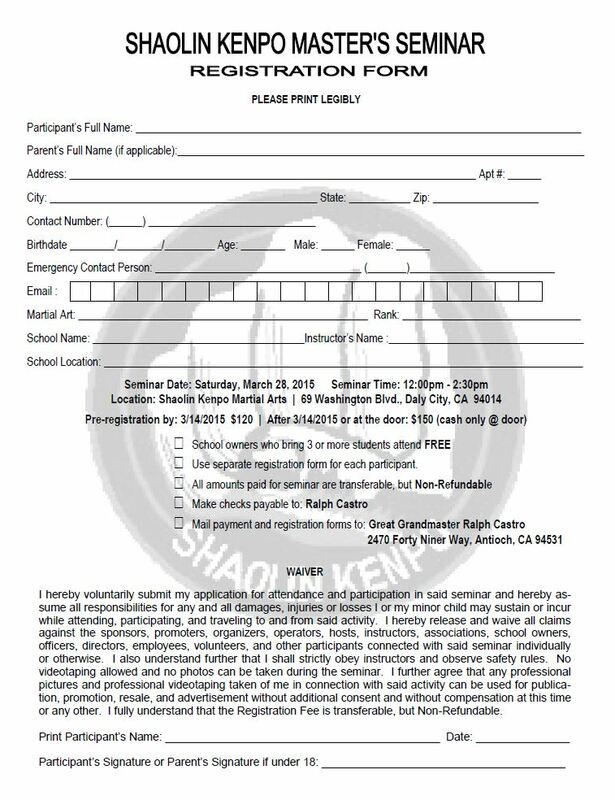 "Shaolin Kenpo Competition," sponsored by Professor Dwight Scott of American Shaolin Kenpo Karate Academy in Berkely, CA. Arbitrator will be Professor Wil Manner. 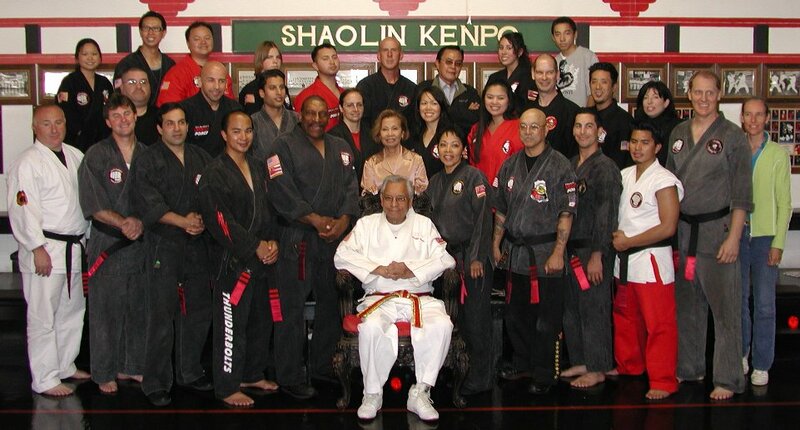 Location is Great Grandmaster Ralph Castro's school at 69 Washington Street, Daly City, CA. For more information please call Professor Scott at (415) 250-2414. Shizumi Sensei and Hikari Ryuza Ryu Do Kan presents, "MARTIAL ARTS UNITY the GATHERING of WARRIORS III." 9:00 AM to 5:00 PM (both days) - Location is Hikari Ryuza Ryu Do Kan Honbu Dojo, 11990 Sunset Hill Rd., Penn Valley, CA 95946. Ralph Castro's Shaolin Kenpo proudly presents, "SHAOLIN KENPO STICKS, and Award Winning Forms", with Great Grandmaster Ralph Castro. Cost is $25 if you bring your own sticks, or $30 if you need sticks. $7 for spectators. Please, no cameras or video cameras. International Shaolin Kenpo Association presents, "June 2004 - SEMI-ANNUAL PROMOTION and RECOGNITION AWARDS CEREMONY". Location is Ralph Castro's Shaolin Kenpo Karate, 69 Washington Street, Daly City. For more information, please call (650) 755-8996. Immediately following the promotion events.....International Shaolin Kenpo Association presents, "CELEBRATION DINNER." Please join in and contribute to the traditional potluck, where each participant brings a favorite dish to share with all. Location is Ralph Castro's Shaolin Kenpo Karate, 69 Washington Street, Daly City. For more information and to coordinate suggestions on what to bring, please call Mrs. Castro at (650) 755-8996. Ralph Castro's Shaolin Kenpo proudly presents, "THUNDER AND LIGHTNING II, and Award Winning Forms", with Great Grandmaster Ralph Castro. 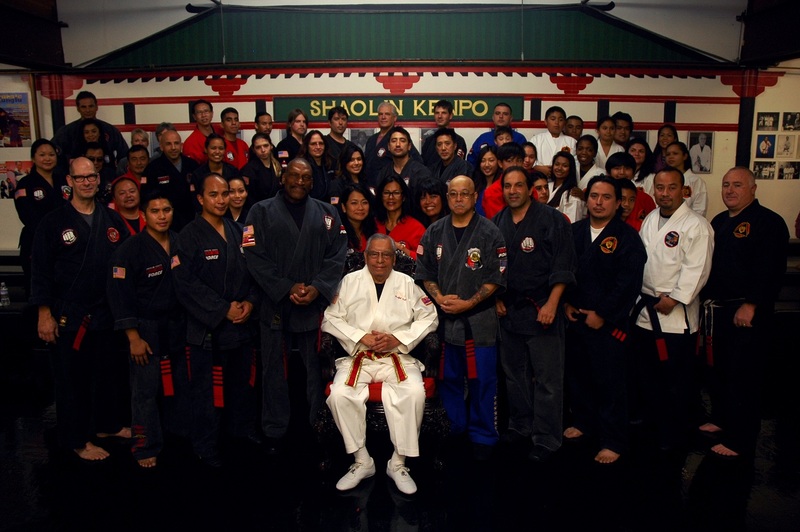 Doors open 10:00 - Location is Ralph Castro's Shaolin Kenpo Karate, 69 Washington Street, Daly City, CA 94014. Cost is $45 per session, or only $70 for both sessions. $7 for spectators. Please, no cameras or video cameras. Delicious and nutritious plate lunch is available for $5 at the seminar. Checks payable to Ralph Castro's Shaolin Kenpo Karate, and may be mailed with your preregistration to 69 Washington Street, Daly City, CA 94014. Congratulations! Great Grandmaster Ralph Castro, his son Grandmaster Rob Castro, and friend Grandmaster Dr. Crimi, are all honored. They are inducted into the World Martial Arts Masters Hall of Fame in a ceremony held in Castro Valley, CA. 7:00 PM - Master Profesor Dwight Scott (8th degree) visits Screeching Eagle Shaolin Kenpo in San Jose, CA. He represents his school, American Shaolin Kenpo Academy [Berkeley, CA], who are members of ISKA. He is the evening's guest teacher of SESKK's Black Belt class. 7:00 PM - Master Professor Marvin Cunningham (8th degree) travels again to visit Screeching Eagle Shaolin Kenpo in San Jose, CA. He also represents Ralph Castro's Shaolin Kenpo [Daly City, CA]. 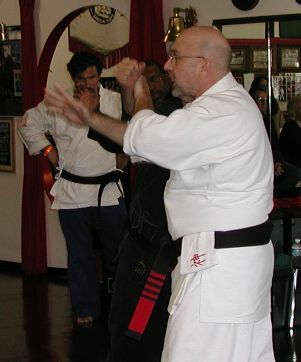 He volunteers his time and his teaching experience to serve once again as a guest instructor to SESKK's Black Belt class. 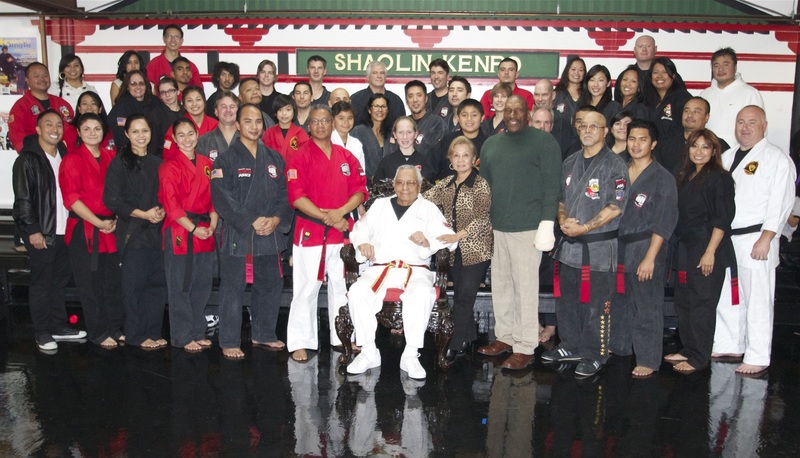 7:00 PM - Honored guests Great Grandmaster Ralph Castro, Mrs. Castro, and Master Professor Marvin Cunningham (8th degree), visit Screeching Eagle Shaolin Kenpo in San Jose, CA. Great Grandmaster and Professor lead SESKK's Black Belt class through some reviews and some new material. International Shaolin Kenpo Association presents, "December 2003 - SEMI-ANNUAL PROMOTION and RECOGNITION AWARDS CEREMONY". Location is Ralph Castro's Shaolin Kenpo Karate, 69 Washington Street, Daly City. For more information, please call (650) 755-8996. Late Afternoon - American Shaolin Kenpo Karate Academy - "PROMOTION CEREMONY". Door opens 1:45 PM - American Shaolin Kenpo Karate Academy proudly presents, "KICKIN' IT" seminar with Grandmaster Rob Castro. Location is Nick Rodriguez Community Center - 213 "F" Street, Antioch. Cost is only $20. 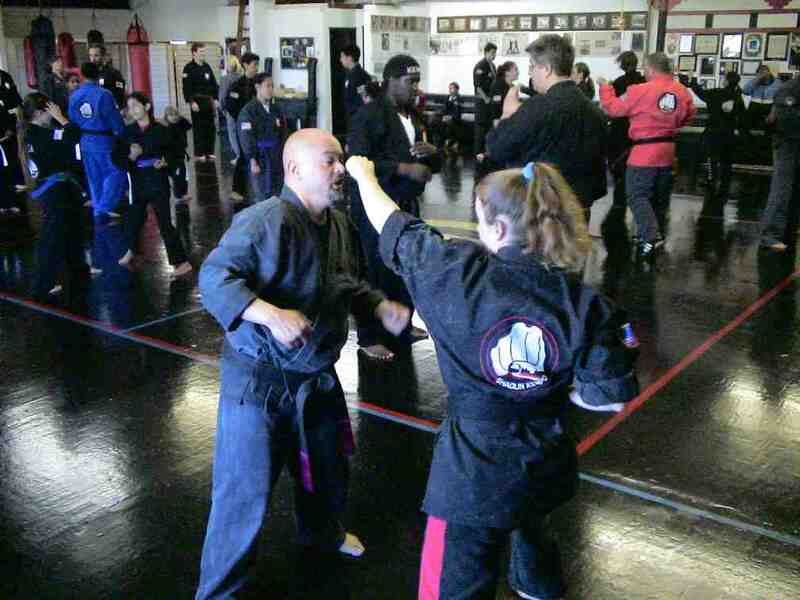 Add a new and exciting dimension to your martial arts training. Learn the proper mechanics and application of kicks. Increase the flexibility, agility, speed, and power of your legs with this awesome seminar. Space is limited. Spectators welcome. Snack bar available. No refunds. This seminar is open to children and adults of all belt levels. Dress code for this seminar is karate t-shirt and gi pants. All participants will receive a certificate of participation and emblem. Please, no video taping. To register or for more information, please call (925) 706-7778. 2:00 PM to 4:00 PM - Spinning Back Kick, Front Jump Kick, Triple Jump Kick, and more! 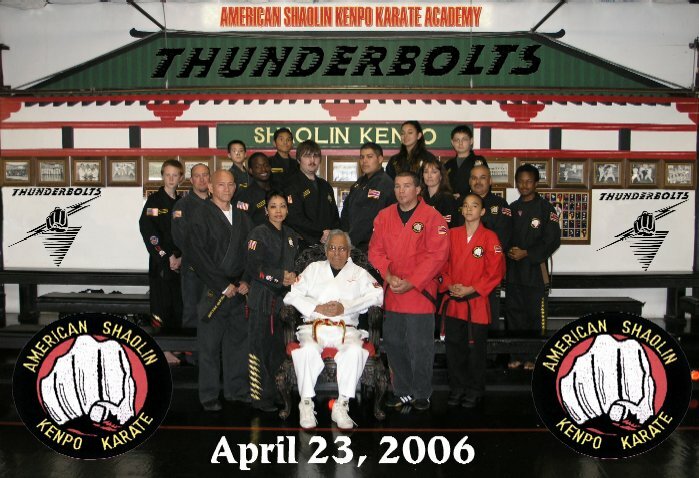 Door opens 8:45 AM - Ralph Castro's Shaolin Kenpo proudly presents, "THUNDER AND LIGHTNING," and Award Winning Forms, with Great Grandmaster Ralph Castro. Location is Ralph Castro's Shaolin Kenpo Karate, 69 Washington Street, Daly City. Cost is $45 per session, or only $115 for all three sessions. $7 for spectators. Please, no cameras or video cameras. For information, please call (650) 755-8996. If your application and payment for all three sessions is received by OCTOBER 28th, free lunch and t-shirt are included. Great Grandmaster Castro was Grandmaster Crimi's honored guest at "Martial Arts Unity - The Gathering of the Warriors II." Instructors were Grandmaster Crimi, Great Grandmaster Castro, Grandmaster Rob Castro, Sigung LaBounty, and Grandmaster Pallen. Location was Hikari Ryuza Ryu Do Kan (TM), 11990 Sunset Hill Road, Penn Valley, California. Click Here for More Information . "Shaolin Kenpo In-House Competition," sponsored by Professor Dwight Scott of American Shaolin Kenpo Karate Academy in Berkely, CA. 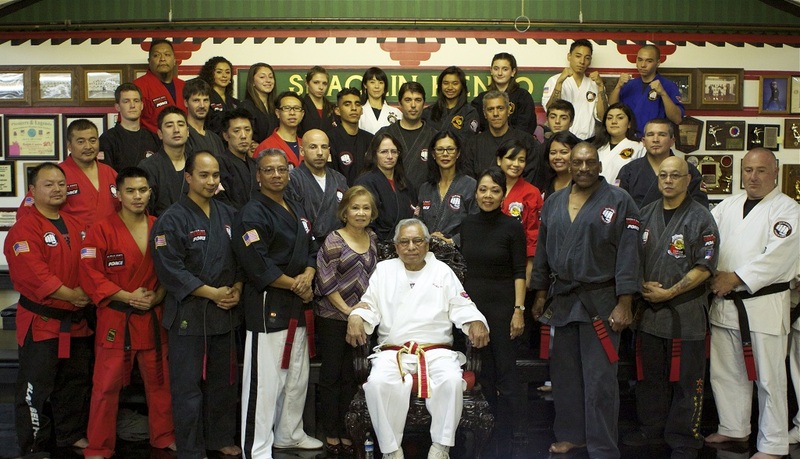 Location is Great Grandmaster Ralph Castro's school at 69 Washington Street, Daly City, CA. For more information please call Professor Scott at (415) 250-2414, or click on the following links for Professor Scott's latest postings. 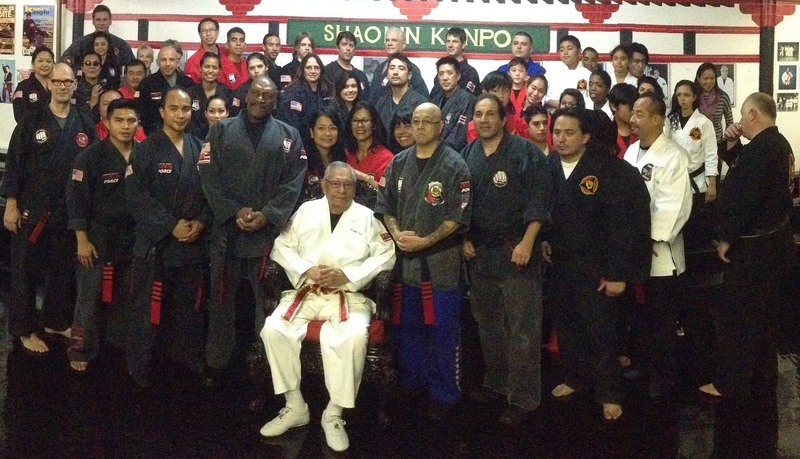 Great Grandmaster Castro and his Assitants Present "KENPO STICKS." 10:45 AM to 11:45 PM - Session II - Two classes are taught simultaneously in this time period. For the Adults only...Grandmaster Crimi Presents "Tsue No Maki ('Scroll of Cane' - Cane Techniques)," from his system, Hikari Ryuza Ryu Jujutsu (tm). If you have canes with crooks please bring them (for yourself and to please share any extras you might have). We will have some canes available. For the Children..."Yawara (Basic Jujutsu Hand Techniques)." Great Grandmaster Castro and his Assitants Present "BO STAFF." [afternoon] - International Shaolin Kenpo Association presents, "2003 - ANNUAL PROMOTION and RECOGNITION AWARDS CEREMONY". Location is Ralph Castro's Shaolin Kenpo Karate, 69 Washington Street, Daly City. No entry fee is charged. For more information, please call (650) 755-8996. Demo 2 - Grandmaster Crimi - "Daito No Maki (Scroll of Sword)"
Demo 3 - Grandmaster Crimi's Yudansha's - "Hikari Ryuza Ryu Jujutsu (tm)"
[evening] - International Shaolin Kenpo Association presents, "CELEBRATION DINNER." Dinner format is back by popular demand. This will be the return of the traditional potluck, where each participant brings a dish. Location is Ralph Castro's Shaolin Kenpo Karate, 69 Washington Street, Daly City. For more information and to coordinate suggestions on what to bring, please call Mrs. Castro at (650) 755-8996. 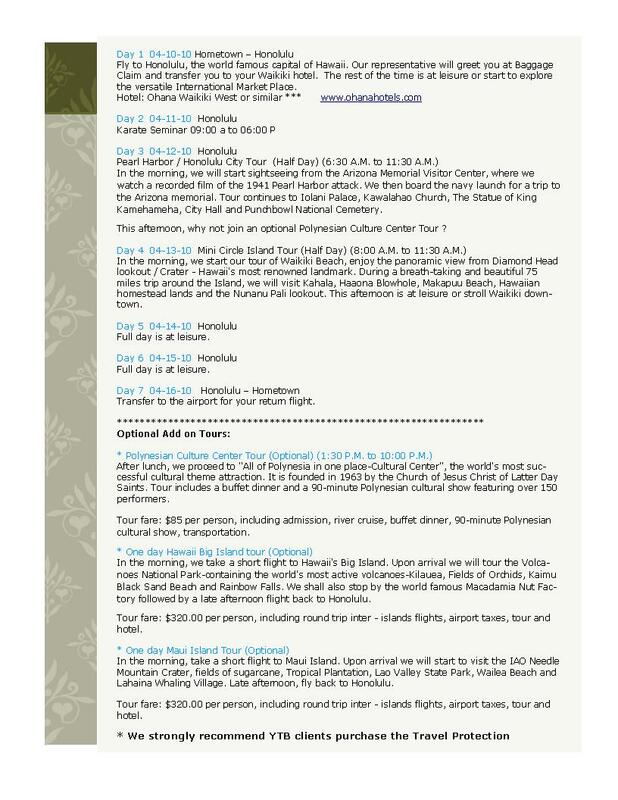 All who had pre-paid and pre-registered for the previously planned Chinese Catered Dinner will be re-embursed. 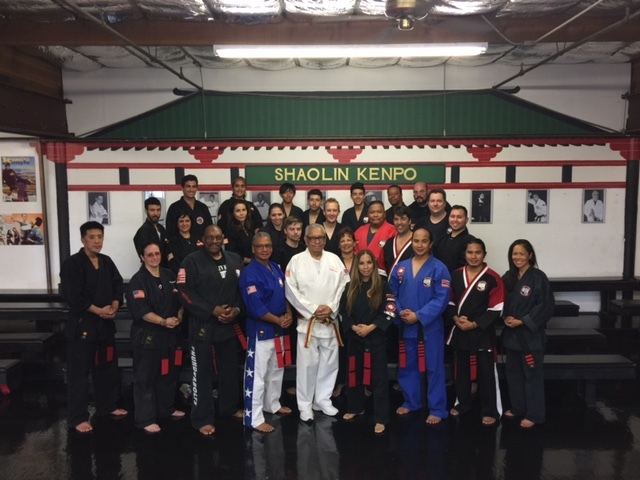 American Shaolin Kenpo Karate Academy (Antioch) proudly presents, "KENPO STICKS & BO," training seminar taught by Great Grandmaster Ralph Castro (with some of his Black Belts to assist him). Location is Nick Rodriguez Community Center, 213 F Street, Antioch, CA (same address as ASKKA promotions). 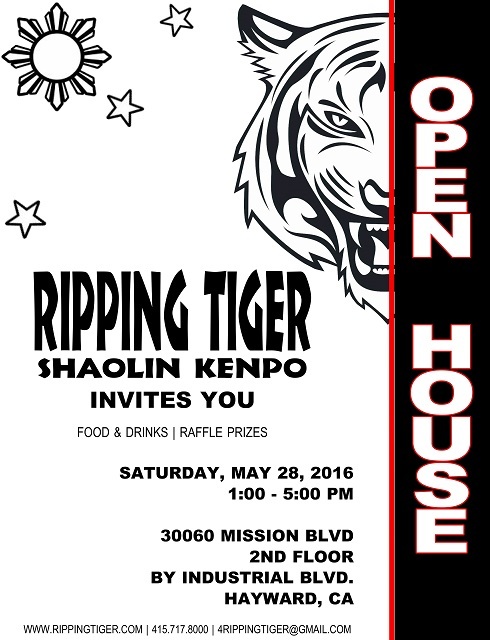 Open to all Shaolin Kenpo students and families, all Shaolin Kenpo schools, ages 6 and older, all levels. No belt or uniform will be required, gi pants and karate shirt will be sufficient. Doors open at 2:00 PM. Spectators welcome (no charge). Snack bar is available. No Refunds. No videotaping will be allowed. Space is limited, so it is best to confirm your interest in advance with Professor Castro-Manner at (925) 706-7778. Please indicate your choice(s): Kenpo Sticks session - $40, Training Bo session - $25, $5 discount if taking both sessions. Seminar fee includes a pair of kenpo sticks and/or training bo. A group photo will be taken upon completion of each session. 7:00 PM - Screeching Eagle Shaolin Kenpo Karate - PROMOTION CEREMONY. 1433 Branham Lane, San Jose. Contact Sibok Leo Lopez at his studio, (408) 266-5214, for more details. 3:00 PM - International Shaolin Kenpo Association - 2002 ANNUAL PROMOTION and RECOGNITION AWARDS CEREMONY. Door opens at 2:30 PM. 69 Washington Street, Daly City. Contribute and stay for 'potluck' dinner buffet afterwards. 8:30 AM - SAN JOSE HOLIDAY PARADE - Ranked as one of the top 25 Best Parades in America - Again this year Screeching Eagle Shaolin Kenpo Karate of San Jose will be participating (marching and martial arts demos with music). Chief Instructor is Sibok Leo Lopez. If you can't come out for the parade, you can watch the live telecast on NBC-11 (KNTV). [evening] - "Hall of Fame Celebration Dinner" for Great Grandmaster Ralph Castro, at a well known restaurant at Jack London Square in Oakland. 10 AM to 5 PM - Gerald Okamura's 7th annual DragonFest , the Ultimate Martial Arts, Sci-Fi, and Hollywood Celebrity Convention. 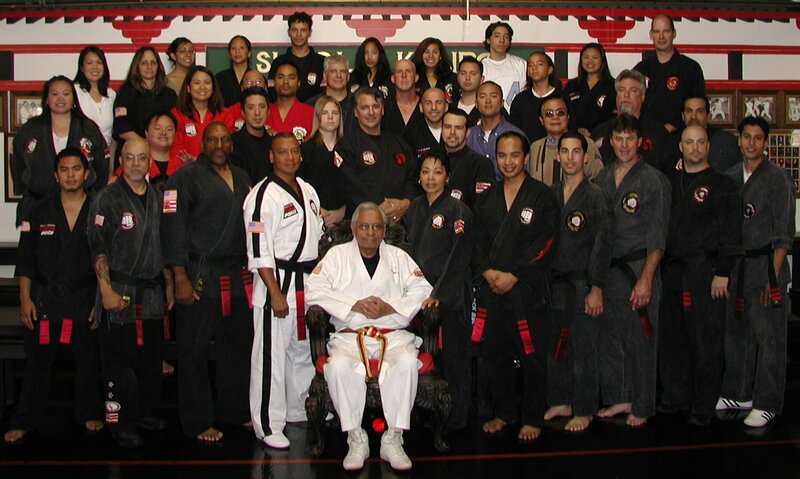 Great Grandmaster Ralph Castro will be inducted into the Martial Arts Hall of Fame at DragonFest '02. Glendale Civic Auditorium. 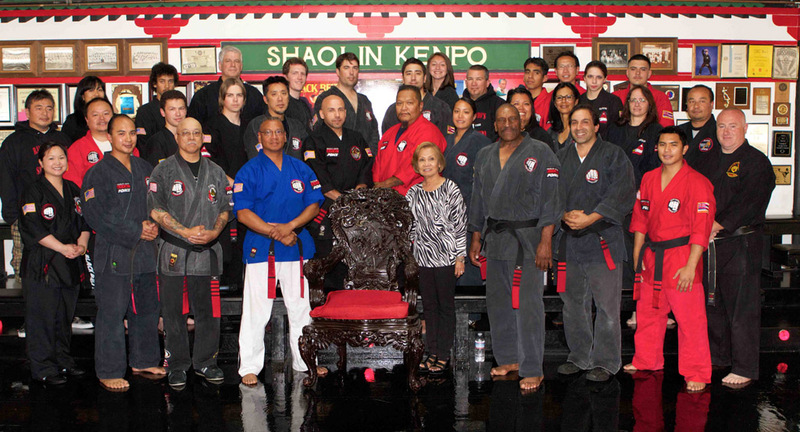 9:00 AM - Shaolin Kenpo In-House Competition is sponsored by Great Grandmaster Ralph Castro. Location is his school at 69 Washington Street, Daly City, CA. For more information call Mrs. Castro at (650) 755-8996. 10:00 AM - Screeching Eagle Shaolin Kenpo's annual school picnic. Location is Blackberry Farm, in Cupertino. See www.BlackberryFarm.org for info on the location. Sponsored by Sibok Leo Lopez. For more information call Screeching Eagle Shaolin Kenpo at (408) 266-5214. This is a big event with BBQ and pot luck. Started small several years ago and it gets bigger every year. ALL Shaolin Kenpo families are invited this year. Please come and join us. Please bring along a meat of your choice to contribute to the BBQ-ing, and/or a side and some drinks/chips. And, we're not limited to BBQ. So, if you have a favorite family dish to share, please include it instead. If you have cooler, please bring it along, with ice. This will let us keep the cold things cold. There will be music and lots of stuff to do. Play or cheer...soccer, volleyball, baseball, swimming pool for the kiddies, etc. We checked about the park rules...beer and wine are OK. The site itself is already reserved and pre-paid. Additionally, there is a park entrance fee of $8 for 13 years and up, $6 for children 6-12 years, five years and under are admitted free. 6:00 to 9:00 PM - Grandmaster Rob Castro's SEMINAR "Sparring Techniques". Location is American Shaolin Kenpo Karate Academy in Antioch, CA. For more information call Professor May Castro-Manner at (925) 706-7778. 9:00 AM - Shaolin Kenpo In-House Competition sponsored by Professor Dwight Scott of American Shaolin Kenpo Karate Academy of Berkely, CA. 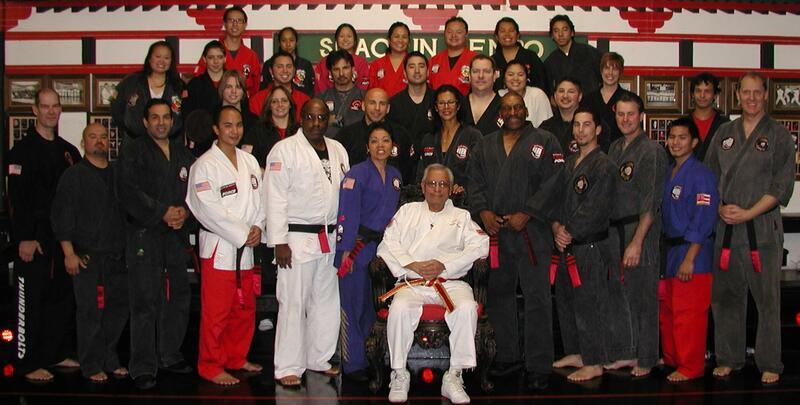 Location is Great Grandmaster Ralph Castro's school at 69 Washington Street, Daly City, CA. For more information call Professor Scott at (415) 250-2414.